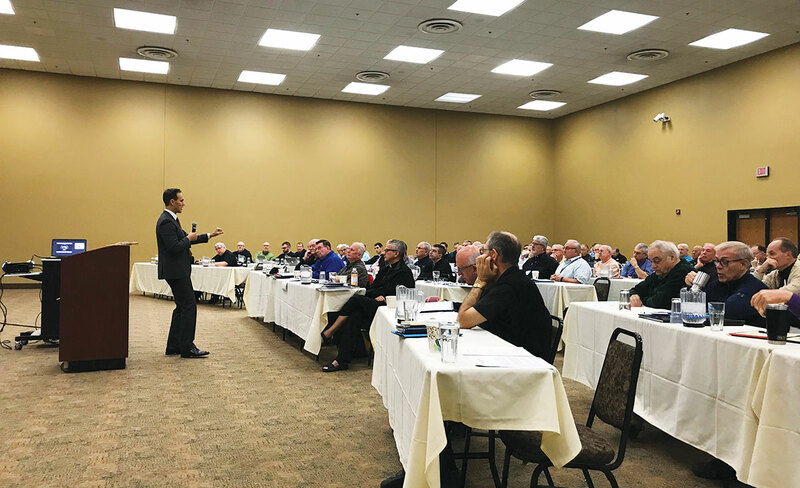 Chris Motz, executive director, South Dakota Catholic Conference, addresses the priests and deacons at Clergy Days. Motz discussed pro life, family and religious freedom issues. The clergy of the diocese gather each fall for education, reflection and relaxation.